If you are a new leader in Cub Scouting, here are some key resources that you should review so that you can get your den or pack up and running, right from the start. The staff at the council office are available to help, so do not hesitate to contact them at 800-303-2195. These brochures provide an at-a-glance orientation for new Cub Scout leaders. 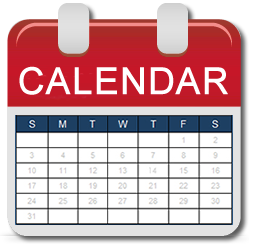 Pack Meeting Plans - Plan for each month that corresponds with a point of the Scout Law. Cub Scout Insignia Guide - This insignia guide presents detailed information to enable our members to wear the correct complete uniform on all suitable occasions. 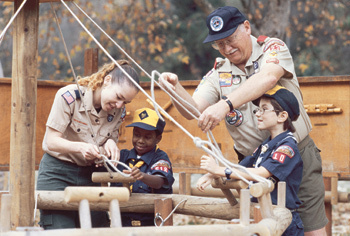 Advancement Trail - Cub Scouts advance in rank from Tiger Cub to Wolf, to Bear, to Webelos Scout. Explore the Advancement Trail. Cub Scouting Adventures - Cub Scouts have the opportunity to earn both required and elective loops and pins as they work toward their ranks. Other Awards You Can Earn - Besides the advancement awards, Cub Scouts can earn awards for taking part in outdoor activities, doing conservation projects, being prepared for emergencies, and other things. Cub Scout Shooting Sports Awards - Learn the requirements to earn shooting sports awards at camp. Youth Protection - The Boy Scouts of America places the greatest importance on creating the most secure environment possible for our youth members. ALL REGISTERED ADULT VOLUNTEERS are required to be currently Youth Protection Trained. Simply create a My.Scouting account, choose E-learning and select Youth Protection Training. Cub Scout Leader Fast Start - This online training is provided to help you understand and carry out your responsibilities as a new den leader, pack leader, or committee member. Be sure to review it before your first meeting. Log in to MyScouting to take this course online. Leader Specific Training - Once a volunteer has a solid overview of the BSA's values-based program, he or she can begin training for a specific Scouting position through Leader Specific training. This training provides the specialized knowledge a new leader needs to assume a leadership role.